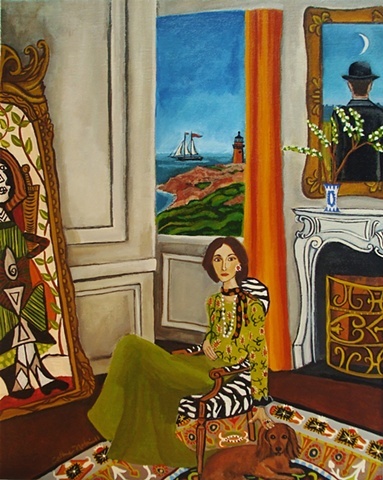 SOLD Here is Martha with her faithful long haired dachshund Rita. Even on this quaint island, she manages to surround herself with the things she loves. This painting is 14x11 painted on stretched canvas with acrylics.